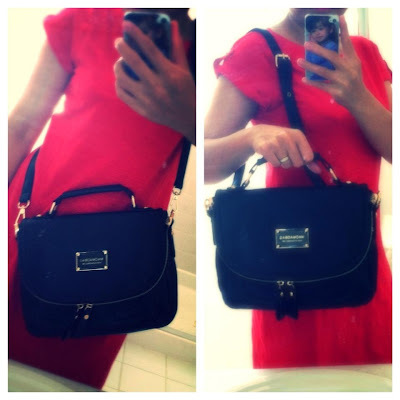 I’m loving my new bag I received recently. I actually call it a sling bag and since I’m loving the style of this one, I got the red and white one, too. For this bag, it has an alterable shoulder strap, where I can wear it across my body, hang it down on my shoulder or I can just hold it by hand because it has a small handle to hold it or put it around my arm. I love the casual look, but at the same time, it has the trendy style where I can use it for everyday and special occasions anywhere. And you know the cool about this about bag, it’s black so you don’t have to worry about the outfit because it will match whatever outfit you have. 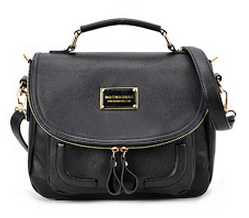 If you want this Retro Black Smart Bag, check out Romwe now for more details. Bag,featuring a black,patent smart design with a zip detailing,a grab handle,a metal logo plaque with signature branding to the front,a zip pocket to the back,a fold-over press stud closure with an inner zip pocket fastening,a detachable shoulder strap with an adjustable length and a contrast lining with an inner zip pocket finish.